Derry once an important immigration port, is now the second city of Northern Ireland and is idyllically situated on the banks of the River Foyle. The character, vibrant culture and rich history of the city are best experienced through a tour of its iconic walls with Martin Crossan city tours. 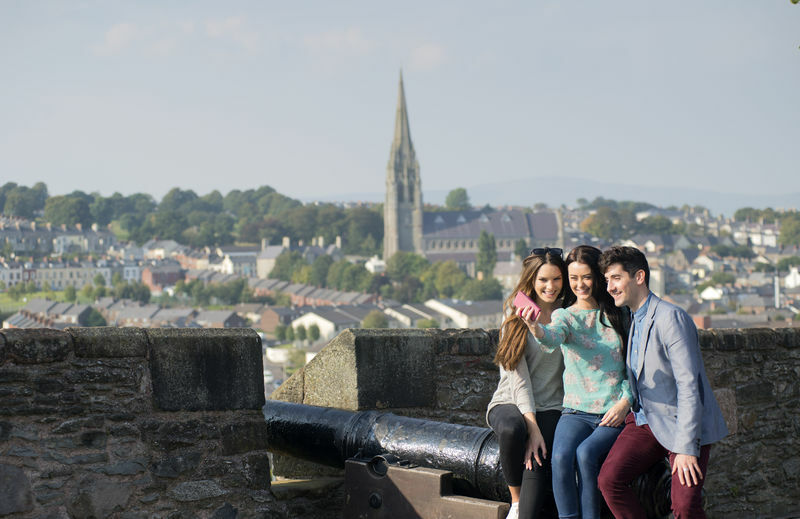 Take a tour with one of their local guides and step back in time to gain an insight into the 400-year-old history of the walls including the plantation of Ulster, the siege of Derry, the 24 fully restored canons, the Troubles, the iconic gates and the famous Saints of the city. 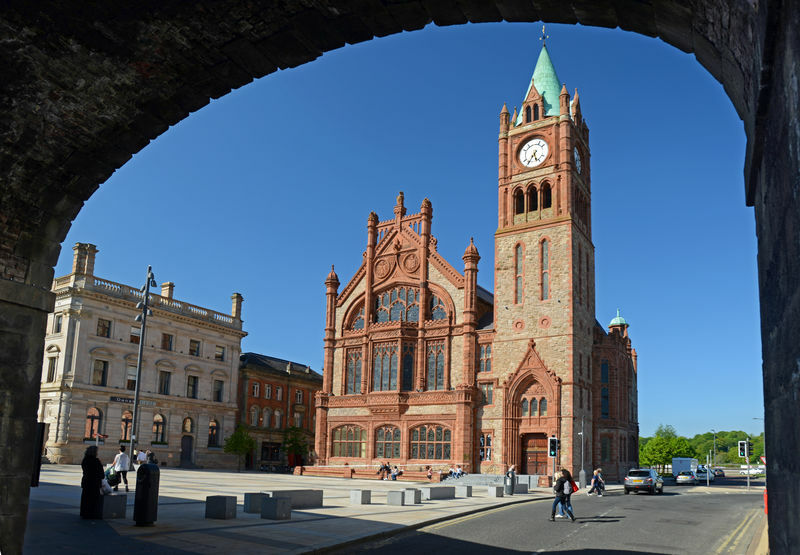 The Guildhall has been at the heart of city life since 1890 and is one of Derry’s most recognisable landmarks. As well as being home to the Council’s chamber and Mayor’s Parlour, the Guildhall offers stunning stained-glass windows, an exhibition on the Plantation of Ulster and a magnificent main hall and organ. This is an intriguing visitor destination with a concise, interactive and very accessible history of the civil war in Northern Ireland. It is also an unbelievable venue for a concert if it happens to suit your travle plans. The Peace Bridge was built over the Foyle river in an effort to improve relations between the largely unionist ‘Waterside’ and the largely nationalist ‘Cityside. 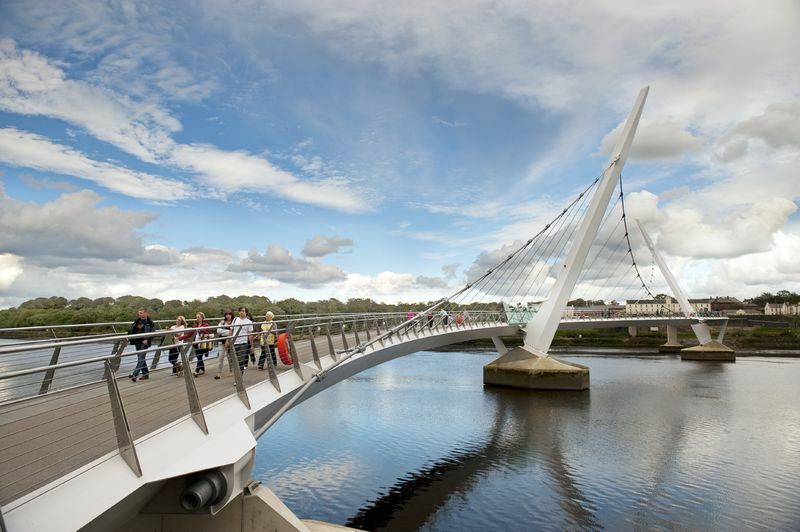 The bridge is more than a magnificent structure and an idyllic walk, it is a symbol and an iconic focal point of the new city, used to highlight how far the city has come from the difficulties during the Troubles. There is no charge to use the bridge and we highly recommend that you take the time to walk across the bridge, take in the stunning views and be part of the change of this great city. 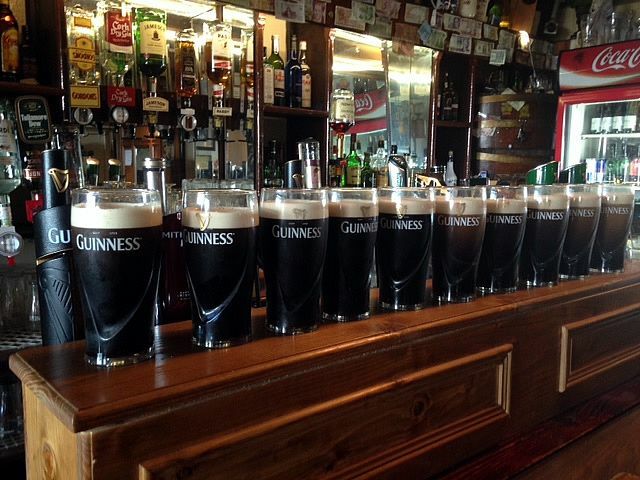 Enjoy the best pint of Guinness in Derry, traditional Irish music and as warm a welcome as you could imagine in Peader O’Donnell’s bar in the city. As a regular visitor to the bar, I am experienced enough to say that for character, craic and an authentic Irish experience, Peader’s is the place you must visit.